In a few days, I’ll undergo surgery on my upper jaw to address some residual issues from my bike accident in 2008. 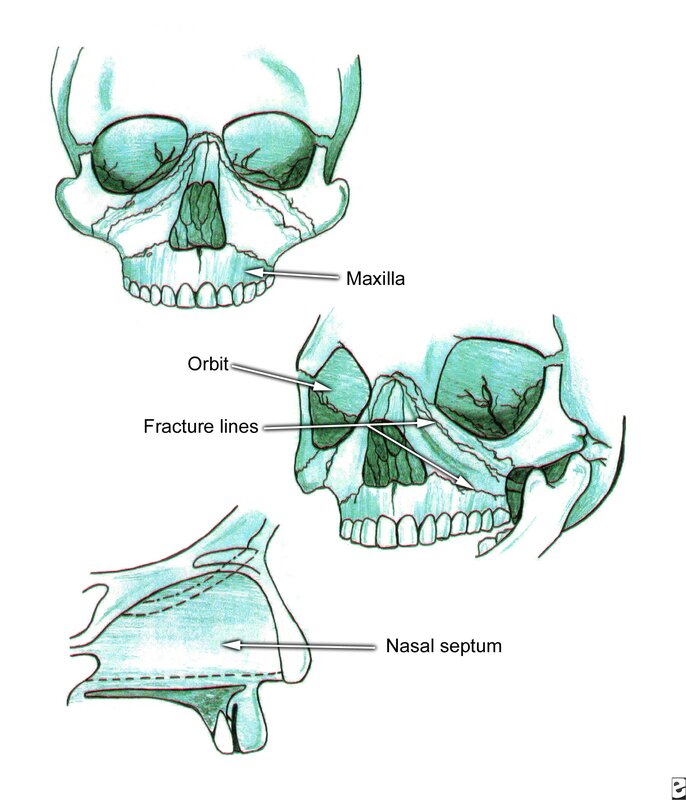 One of the injuries I suffered was a LeFort Fracture, involving a number of facial bones – namely my orbitals (around the eyes), nose, and maxilla (upper jaw). While still in Harborview, I had surgery to stabilize these bones, and gained a bit of titanium mesh and some screws along the way. My mandible (lower jaw) was also broken, but the doctors opted to allow this to resolve itself rather than intervene. As I healed, my maxilla and mandible were markedly offset from one another. They’re visibly skewed. resulting in some facial asymmetry, and a serious bite misalignment. I will undergo a LeFort 1 Orthognathic Osetotomy, addressing the larger alignment issues. There’s also a small chance that the realignment will help address the tinnitus I’ve experienced since the accident. Following this surgery, I’m probably looking at another 8 months with the braces. The procedure is pretty straightforward. They’ll make an incision above my upper gumline, peel the tissue back, and then cut a small segment of the maxilla out, in order to realign it with the mandible. If you’re interested, you can check out an account of part of this procedure, written by a former patient observing the surgery. For the first week after, I’ll be on a completely liquid diet, easing into soft foods for the two weeks after. My jaw will not be wired shut, but rather rubber-banded together. This will stabilize the bones, while affording me a bit of flexibility. I’ll probably be off from work for two weeks, and not allowed to run for two weeks. Healing time is the standard 4-6 weeks associated with most broken bones. Although this is one of the simpler procedures I’ve had done, I’m feeling a bit nervous about it. I think I’m looking forward to just being done with all of this.